I have a rather picture heavy post to share with you today of a glitter-resplendent collection! Huzzah! 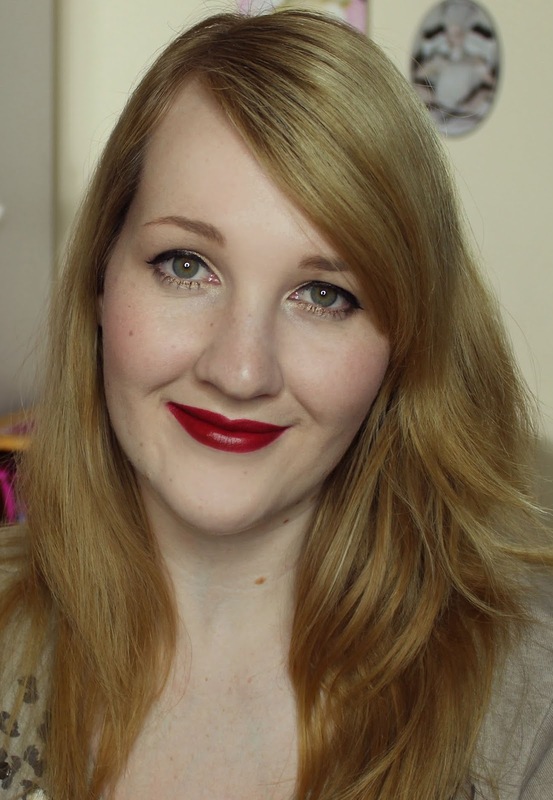 Though I tried to talk myself out of it (for maybe two minutes), I ended up buying all five of the lipsticks from MAC's holiday collection, Heirloom Mix, and I've finally finished up wear testing them all. This collection has some pretty sweet packaging, with silver flecked glittery black boxes and tubes. For those concerned with texture, the boxes feel quite smooth, while the tubes have a very lightly textured effect. Think of a glitter nail polish that has just one layer of topcoat on but could do with another and you're there. 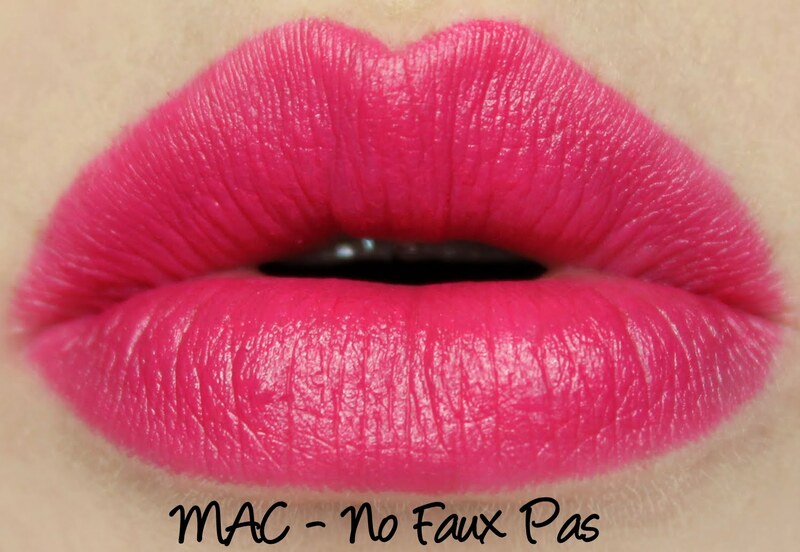 No Faux Pas is a hot pink with a Matte finish. It applies smoothly, doesn't emphasise flaws and lasts for a solid six hours on me, but I did find it to be slightly drying after an hour and a half. It wasn't drying enough to be uncomfortable though, I just tend to be on hyper-alert for that sort of thing when testing wear! 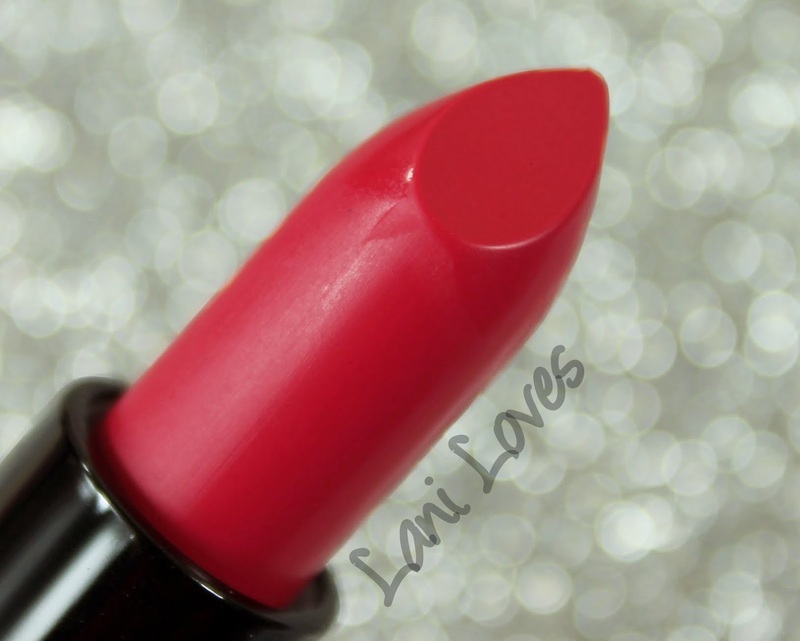 This shade has fantastic colour pay off and leaves behind a strong pink stain. It doesn't feather or migrate either. 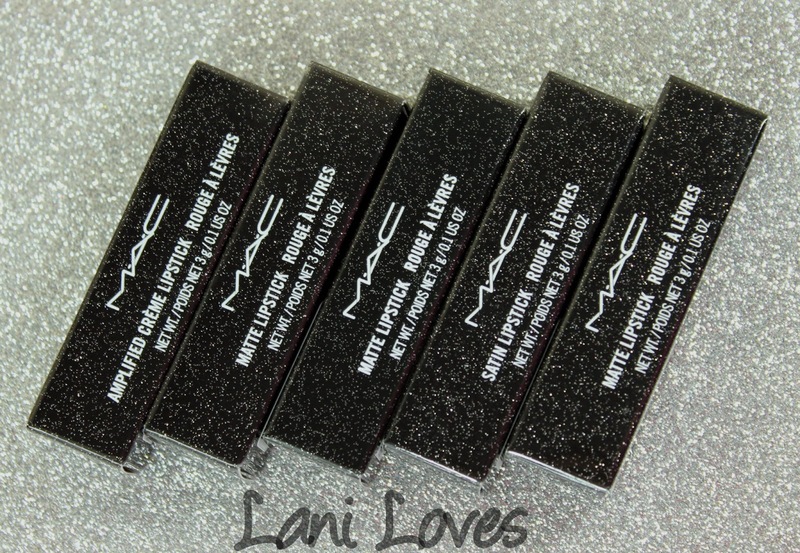 MAC's lipsticks have a vanilla scent. 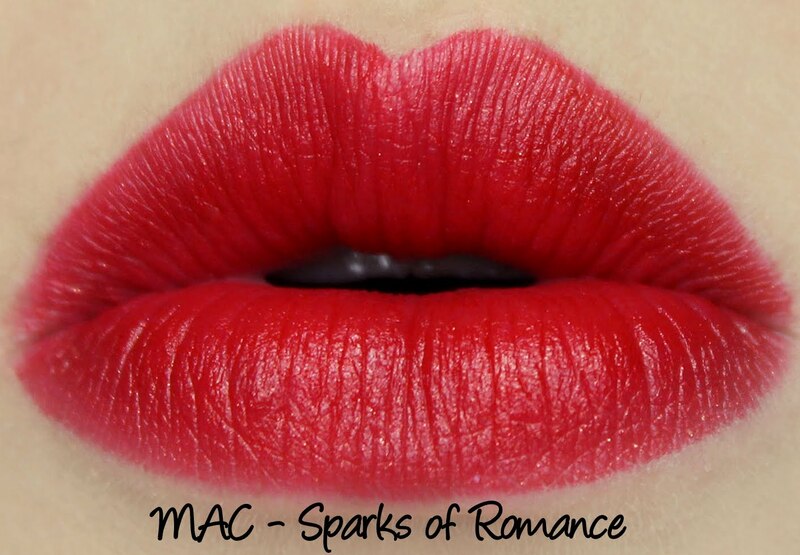 Sparks of Romance is a bright cool toned red and is hands-down my absolutely favourite in this collection. 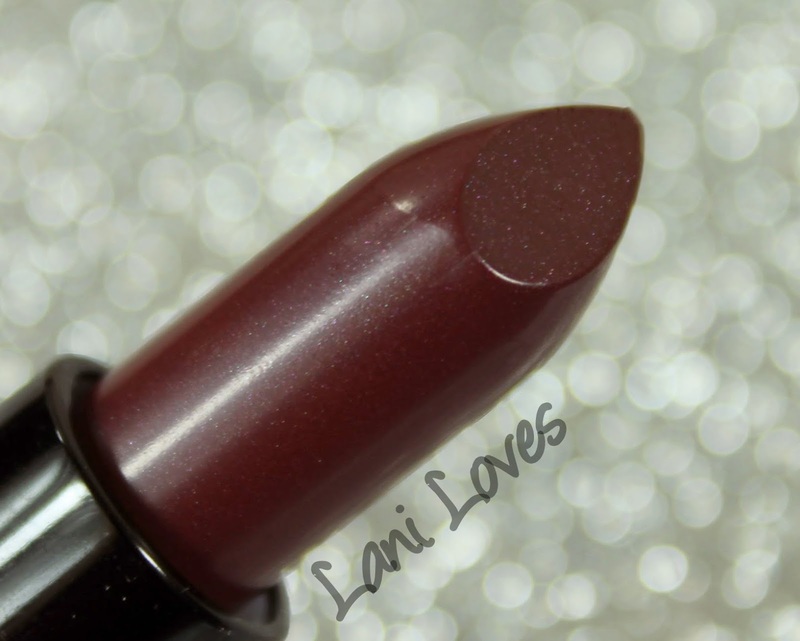 Officially, it has a Matte finish, but when this collection was first being whispered about it was called a Matte Frost and that's the information on Temptalia's review too. What's a Matte Frost? Instead of a standard matte, the matte base is filled with subtle gold shimmer and these amazing small iridescent glitters that were super difficult to capture on camera! 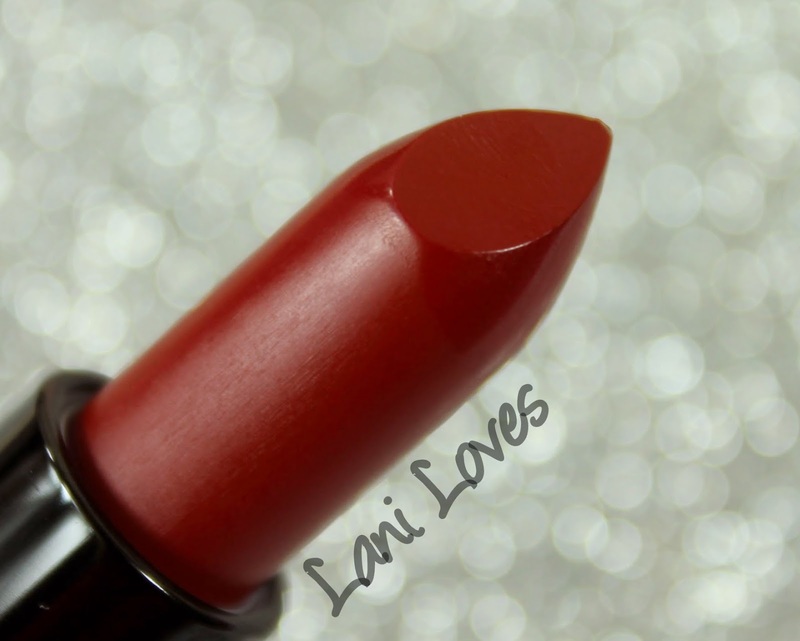 This is a lipstick that absolutely gets better every time you wear it, as more of the sparkle is exposed with each application. 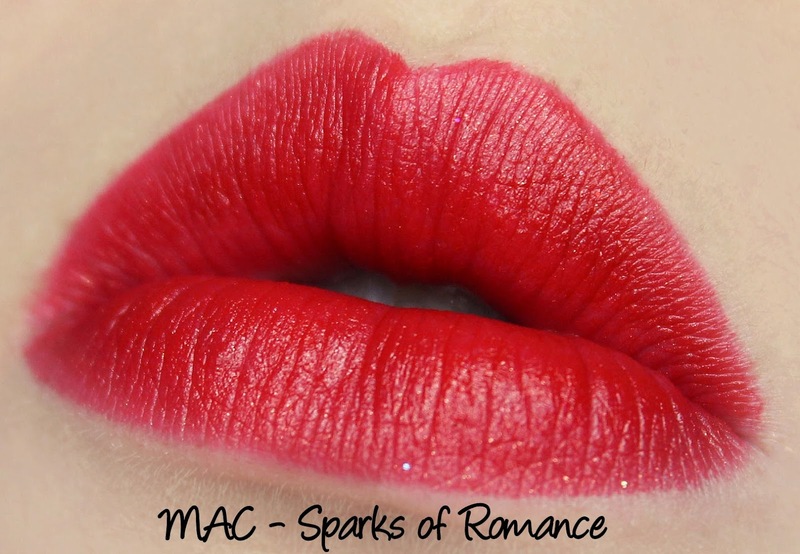 The first two photos show Sparks of Romance brand new in the tube, and the picture below shows how much more shimmer and glitter you can see after a few more uses. LOVE. 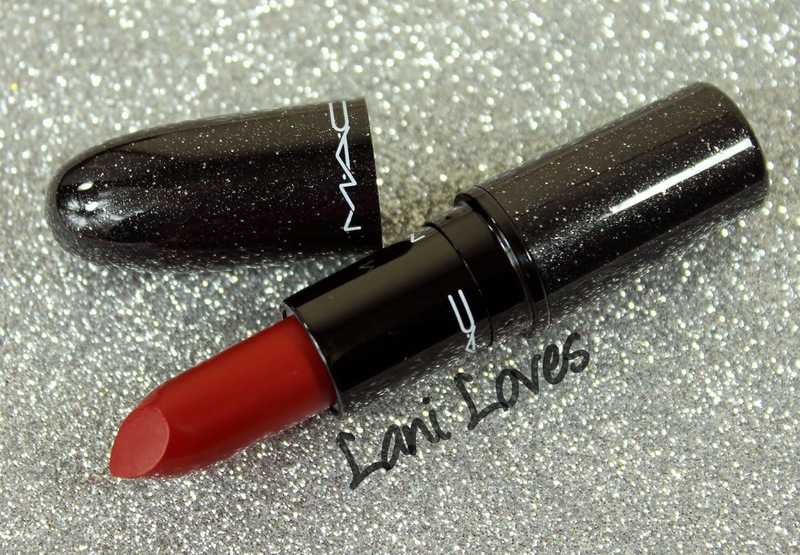 The glitter in this reminds me of my original tube of MAC Rocker (I really must get my hands on the By Request re-release from a few years ago!). 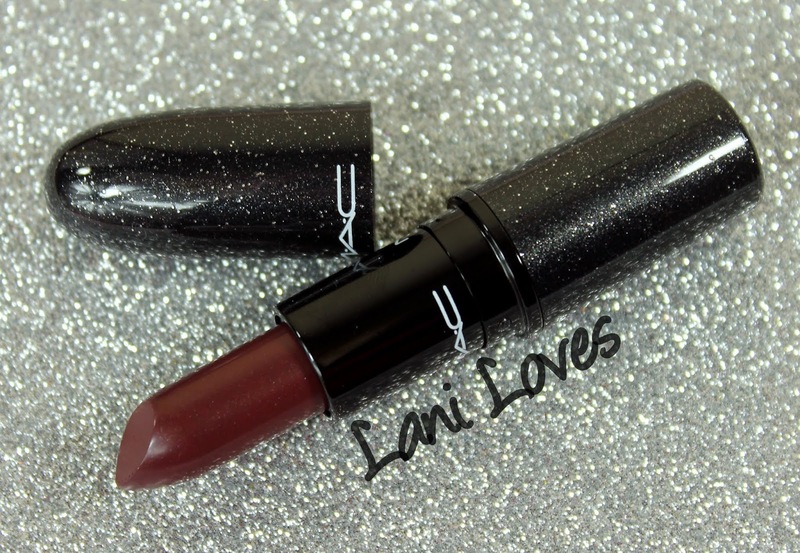 I really hope MAC get back into making more shades like this, because I will buy them all without hesitation. Application wise, Sparks of Romance leaves me without complaint. It feels slightly gritty going on but not uncomfortably so. I didn't really notice any texture at all while wearing it. Sparks of Romance wore for six and a half hours on me, though it looked a bit faded after four hours and became minimally drying around this time too. There was no feathering, bleeding or migration and it left a pink stain - and lots of glitter! 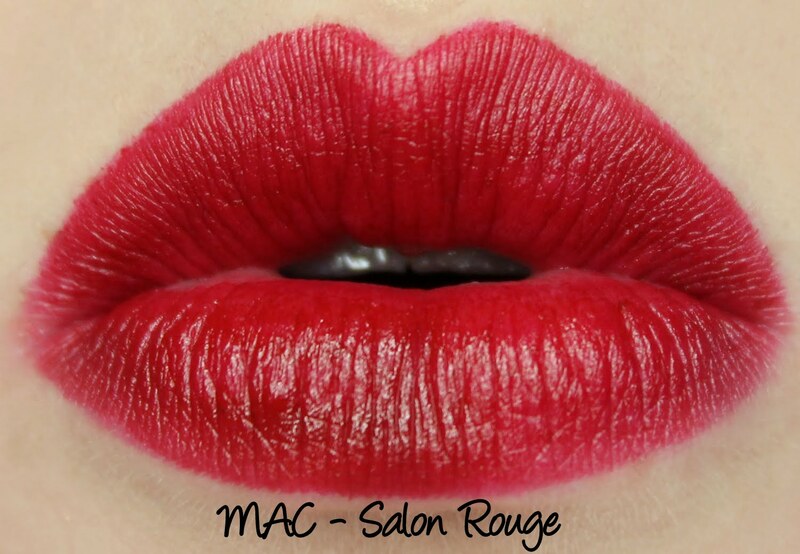 Salon Rouge is a raspberry red with a Matte finish. 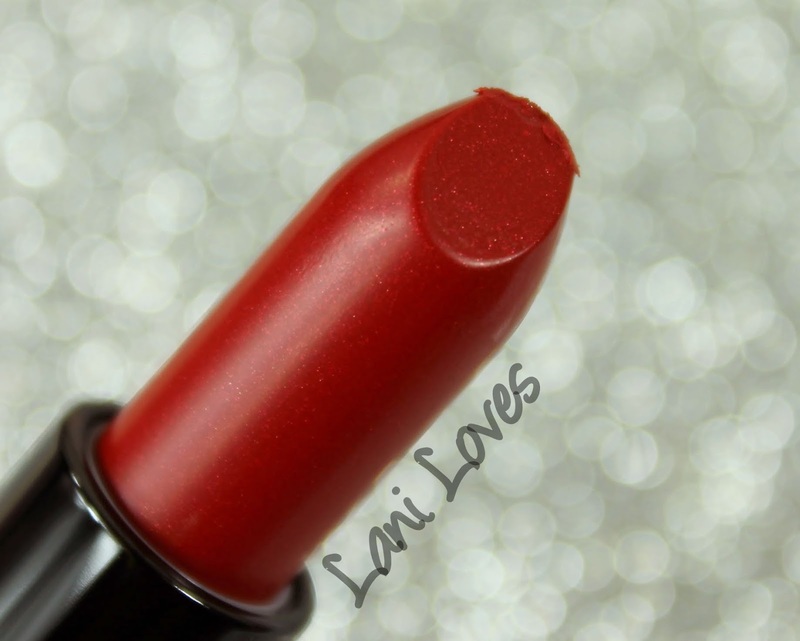 It's very close to Frank N Furter from the Rocky Horror Picture Show collection (see my review here) but has a slightly more luminous finish and seems a tinge redder to me. Application was superb, gliding on easily and lasting for six and a half hours, during which it was minimally drying (but only in the last two hours of wear). 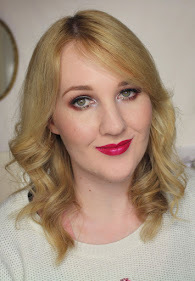 Salon Rouge did look a little patchy after five hours of wear. There was no feathering and it left a pink stain. 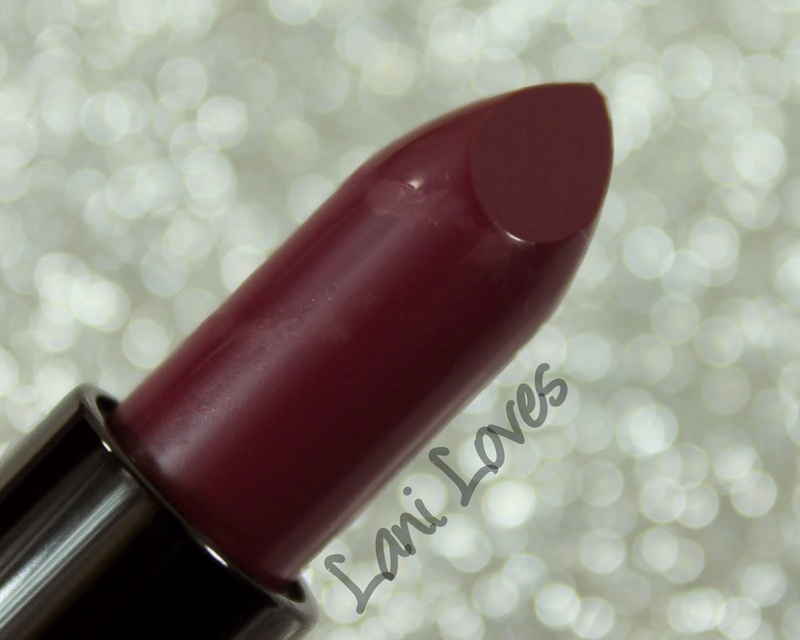 Rebel is a berry shade with a Satin finish. 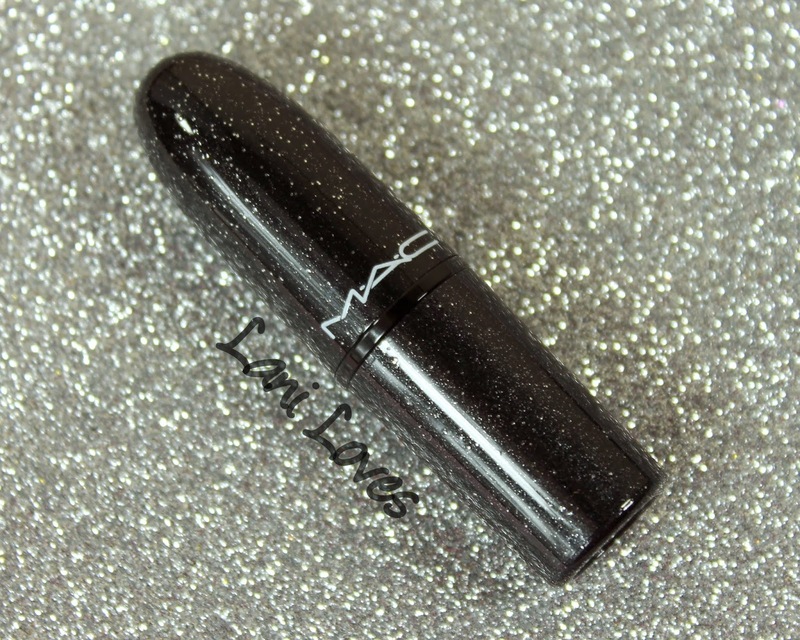 It's also a member of MAC's permanent range so if you're not a packaging freak don't panic, you can get it any time! 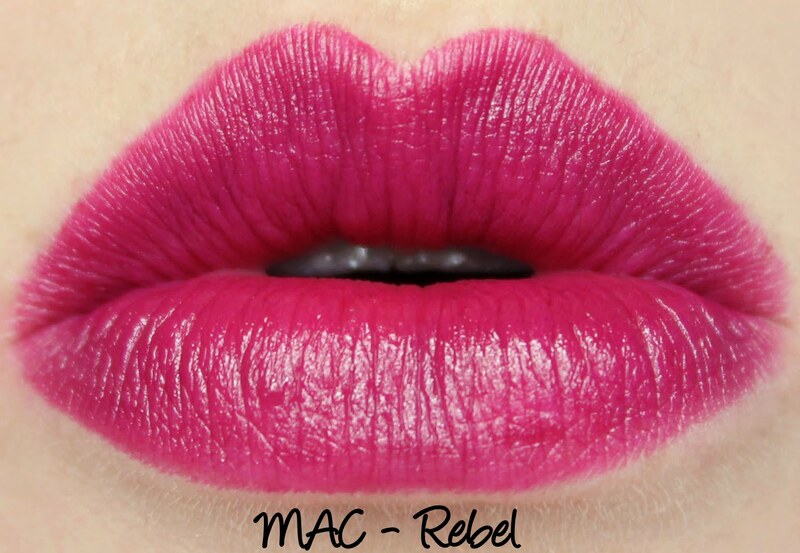 Although Rebel looks really dark in the tube, it applies as a pinkish-berry shade. This is another one with great application and wear, it applies smoothly and lasts for five hours without feathering or drying out lips. 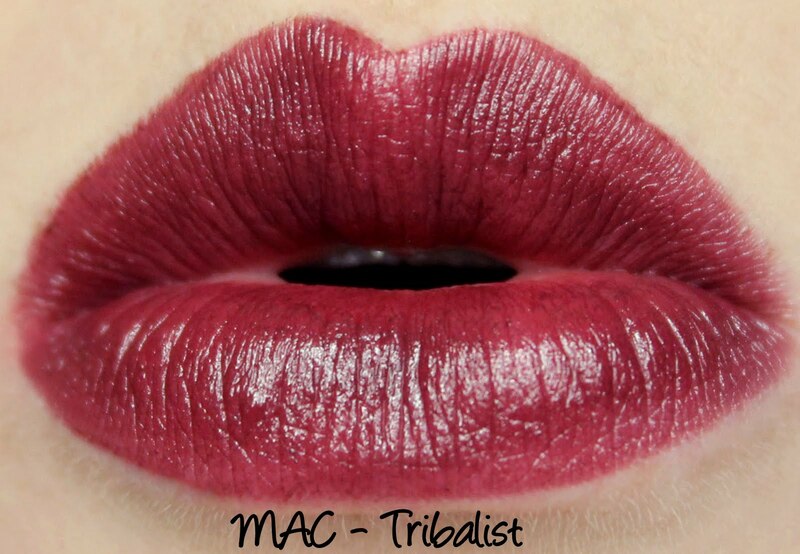 Tribalist is a brown leaning burgundy with an Amplified finish. 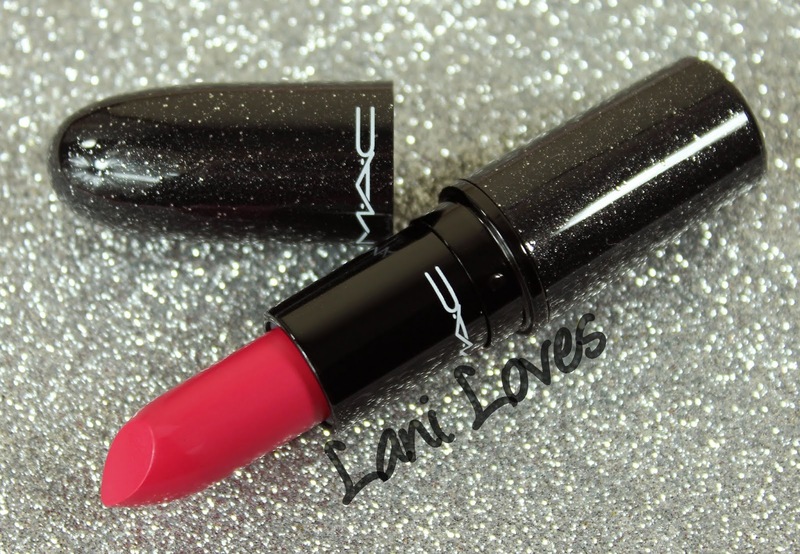 It was originally released with Style Warriors back in 2009 when I was first getting into MAC! 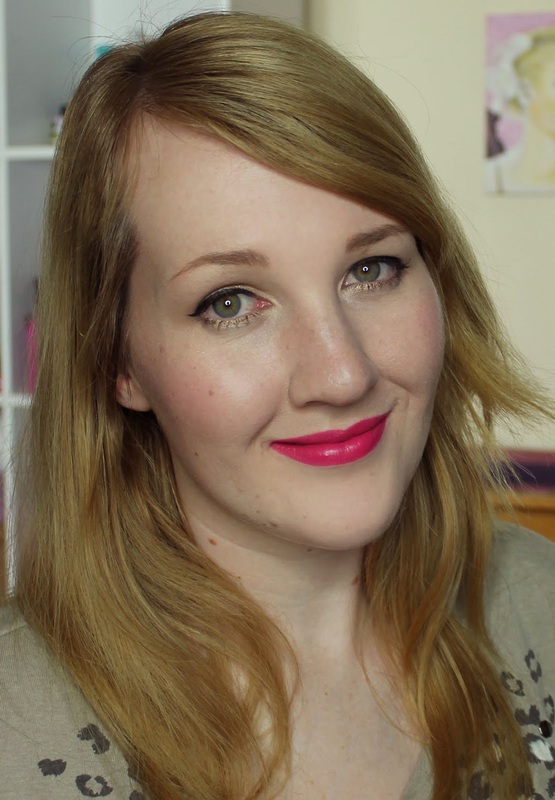 It's glossier than the rest of the shades in the collection and was also the least opaque. 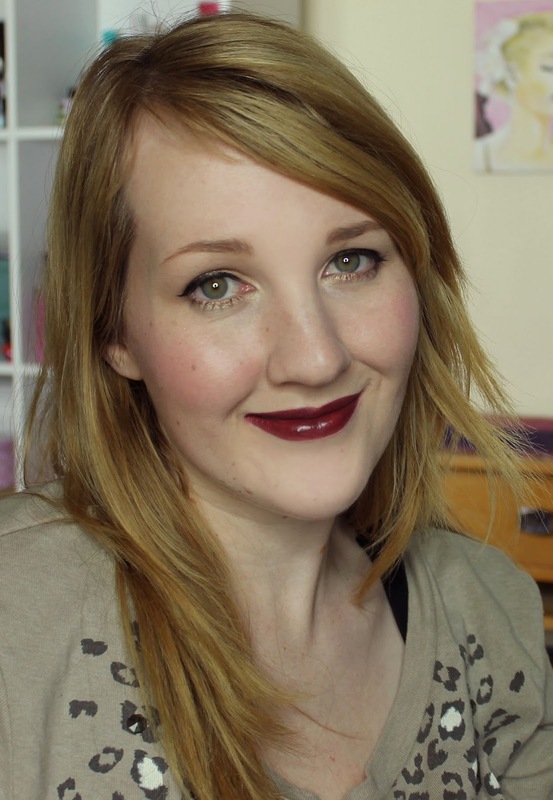 You can see it looks a bit patchy in the lip swatch, though it's fine from a normal viewing distance. 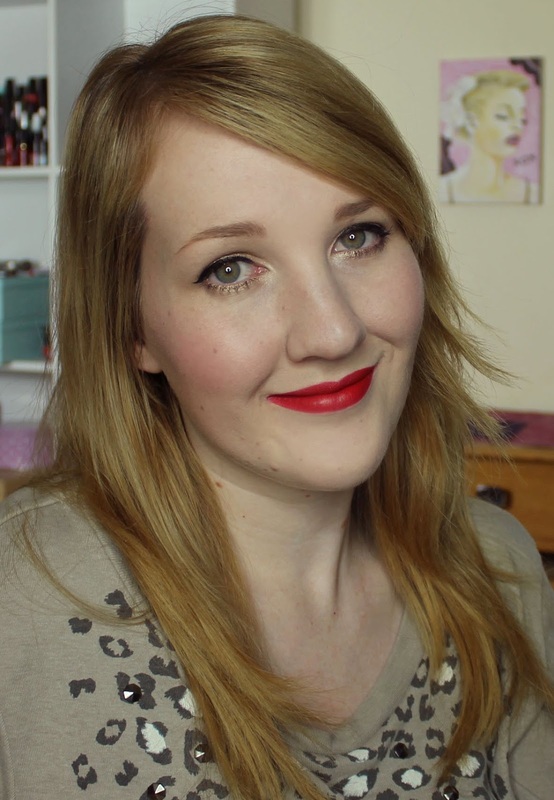 I'd still be inclined to layer it over a lip liner to even out the colour though. Patchiness aside, Tribalist wore for just over four hours but looked faded and more uneven after four hours. It didn't feather or dry out my lips. 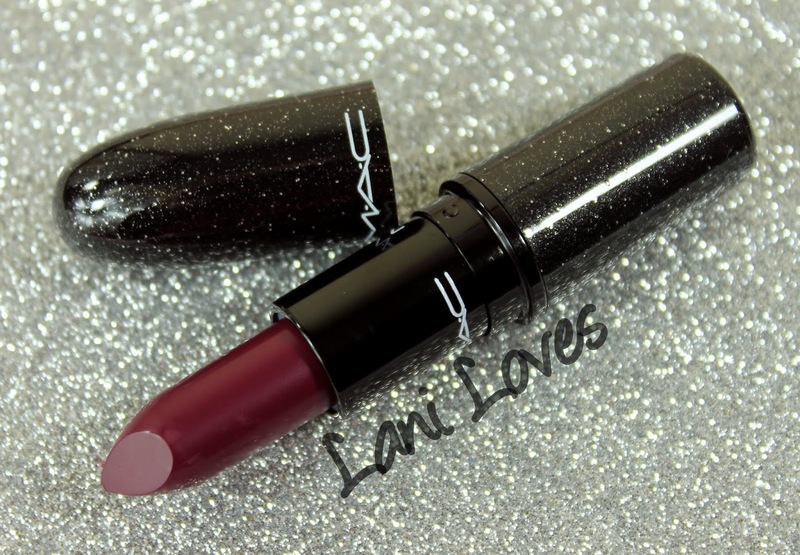 A word on availablity - all of these lipsticks, bar No Faux Pas, are still available on the MAC US website, and on Nordrstrom, all but Salon Rouge are in stock, so kiwis can use Youshop or similar shipping programmes to purchase that way. 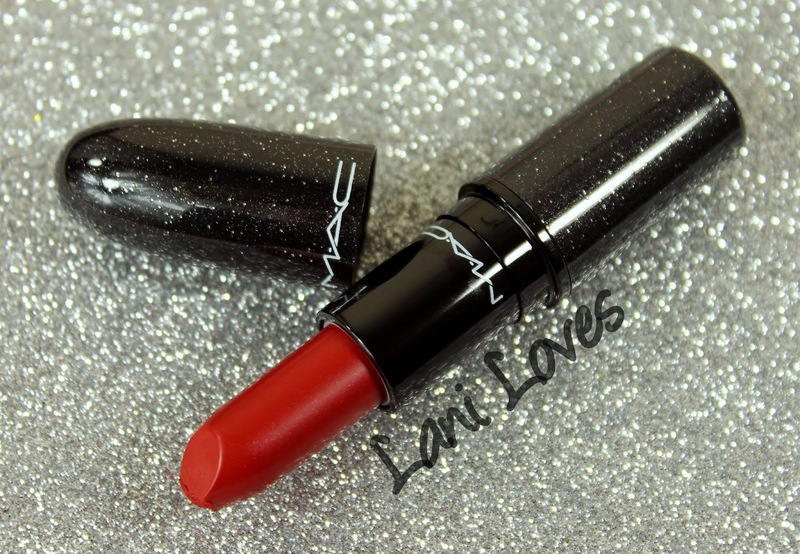 Unfortunately they are all sold out in MAC stores in New Zealand now. One of my favourite Trade Me sellers, shezza108, has all of the shades except Tribalist. 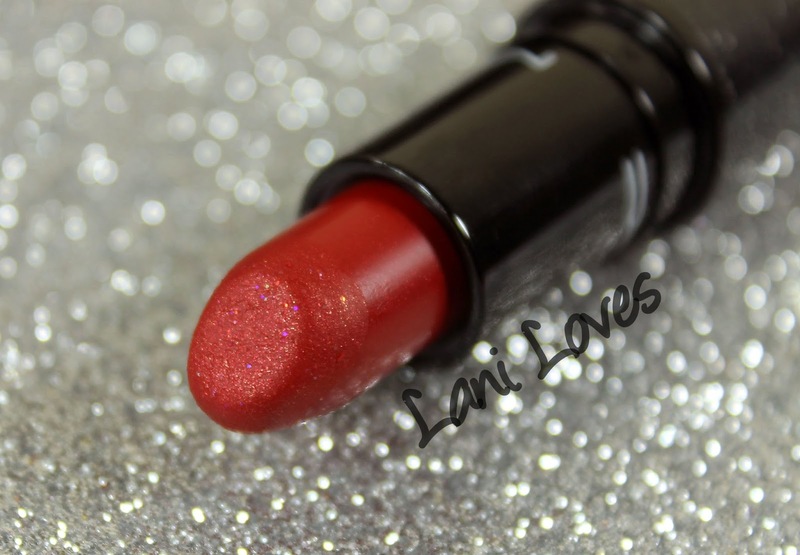 As I mentioned, Rebel is permanently available (just not in the glittery packaging). I'll pop more links below, too. 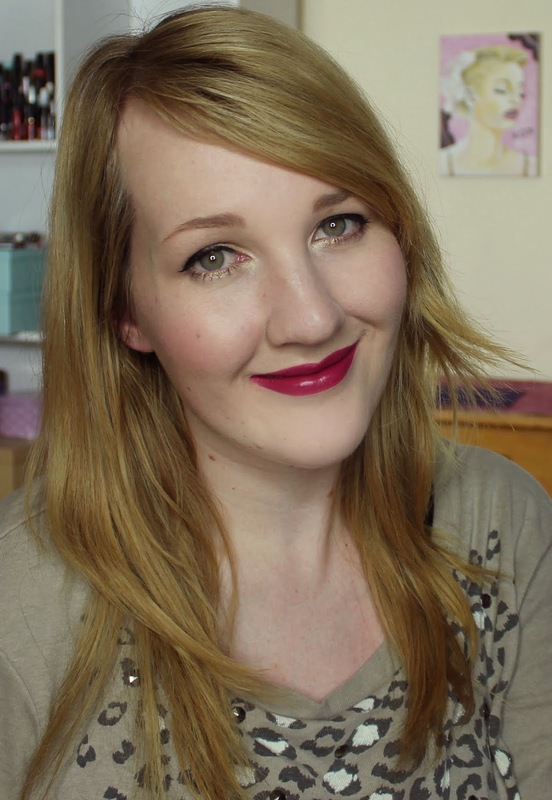 Which of these lipsticks is your favourite? Did you pick anything up from Heirloom Mix? Sooooooo pretty!!! I bought one of the pressed pigments, and it's incredible. 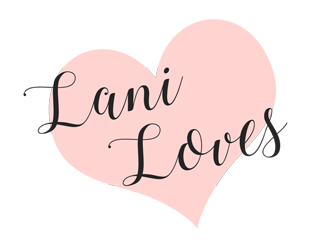 I really should blog about it soon! Oooh yes, would love to see it!